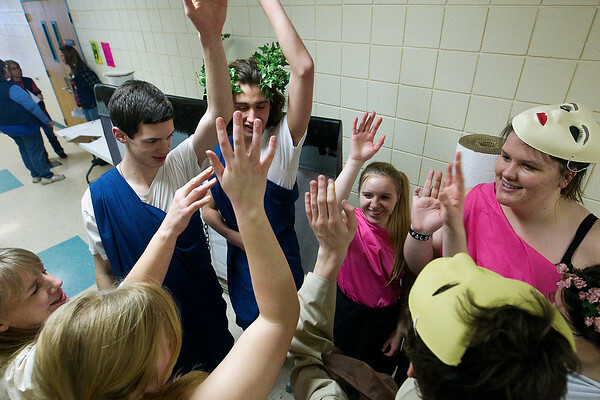 Traverse City St. Francis High School students prepare backstage for their team's performance in the"Classics...Aesop Gone Viral," problem during Saturday's Odyssey of the Mind region 3 tournament at Traverse City East Middle School. The problem asked teams to create and perform an original fable by Aesop as going "viral," and needed to include a character who misunderstood the moral of the fable and is corrected. Over 30 teams from northern Michigan competed in the event, which featured teams from kindergarten through high school.